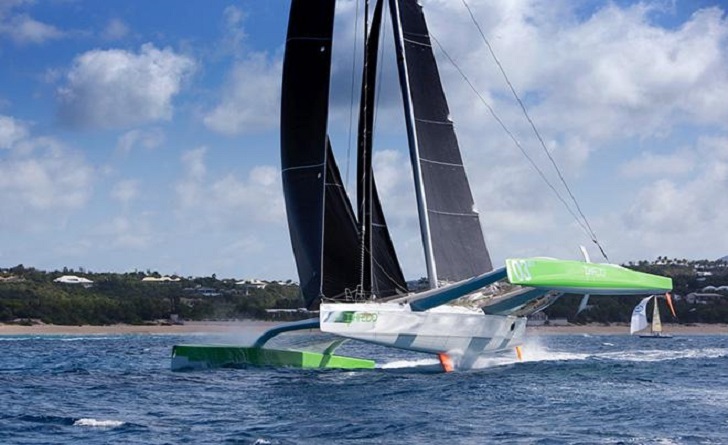 Lloyd Thornburg the owner of MOD 70 Phaedo³ and his crew have been breaking records ever since the multihull exploded in the Caribbean racing scene back in early 2015. 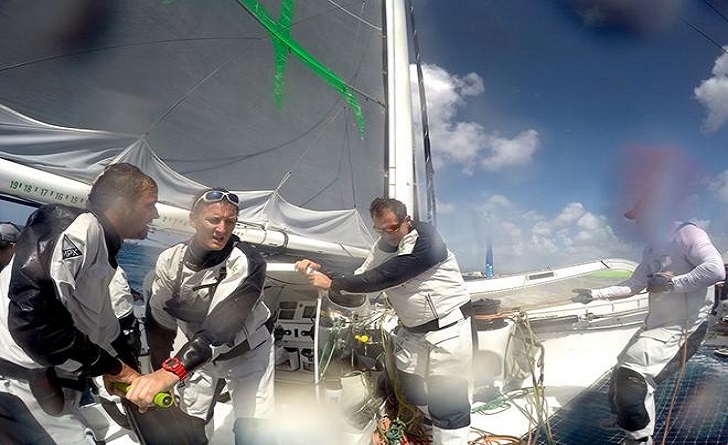 Starting with the Caribbean 600, their very first regatta, Thornburg and co have smashed into the record books with 10 World Record and pushing new speed boundaries. Just this week the team have earnt line honours and won the Perpetual Multihull Trophy for the RORC Transatlantic Race 2016 from Lanzarote to Grenada. “This is the scariest thing I’ve done,” says Thornburg. “I fly, skydive and drive fast cars, but all those other things are scary for a minute or a few minutes at a time. This boat shows you what you’re capable of after being miserable, and tired, and soaked in fear for 30 hours”, Lloyd Thornburg. Fastnet – Original Course. Outright record. Plymouth to La Rochelle. Outright record. Cowes to Dinard. Outright record. Bermuda to Plymouth. Outright record. Around Isle of Wight. Outright record. Time: 2 hours 2 minutes and 31 seconds – beating their previous time by 93 seconds over the 60 mile course.